The London Mural Preservation Society works to protect, preserve and celebrate murals in the communities where they were created. We will work to protect the memory of these artworks by recording the mural's histories in collaboration with their creators and the local community so we can continue building up an archive of information. This work will be made available to the public. We will preserve murals by supporting local communities and organisations who want their murals restored. This can happen through lobbying, consultation work with owners, developers and councils and being partners on projects. We will celebrate these murals by hosting events within the local and wider community.which will help spread and preserve the murals’ stories. 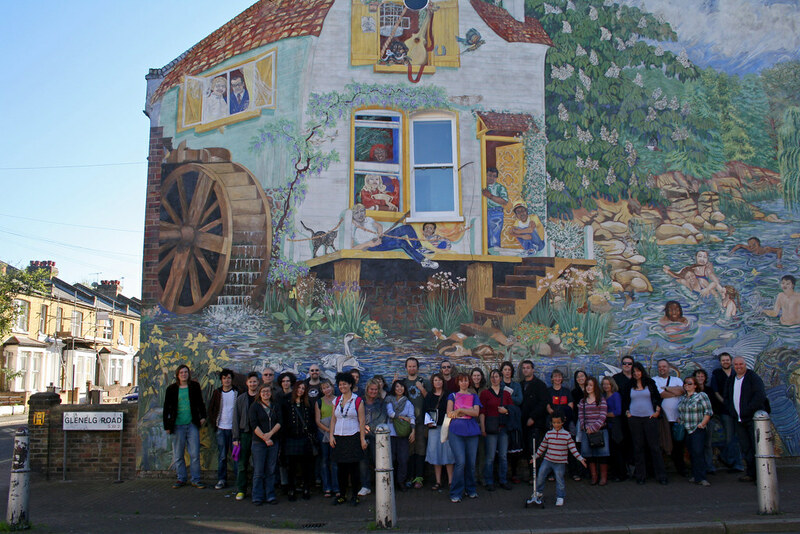 In 2010, Ruth Miller founded the London Mural Preservation Society (LMPS) with the assistance of a team of volunteers. Since then, the LMPS has helped raise the profile of murals in the media. As well as featuring in local press, we have been on the BBC London News and the Robert Elms Show for BBC Radio London. We were involved with the Whitechapel Art Gallery's 'Reclaim the Mural' project and gave a sold-out talk about the more recent history of murals. We also take regular mural walks around Brixton and other parts of London. Our two biggest projects have been our involvement in the restoration of two murals, the Brixton Windmill Mural and the Stockwell Memorial Mural. We have also provided consultation on the repair of several others. We are staffed entirely by volunteers and receive no funding apart from donations from the public. If you would like to support our work financially please email or make a donation through paypal.